Unidentified Artists – Art for Art's Sake! 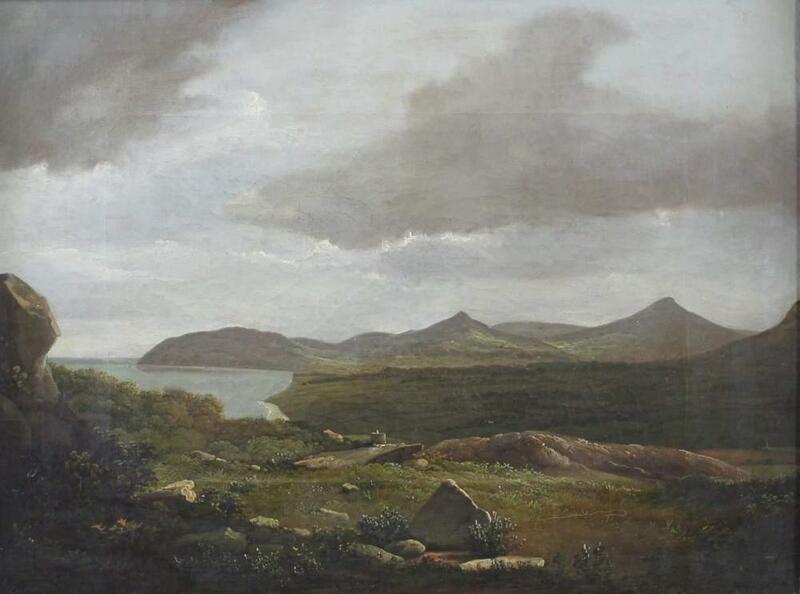 Here I will be posting Irish paintings by artists that I have been unable to find anything about – even their nationality – and they will be moved to the relevant pages if and when information comes to light. In alphabetical order as always. 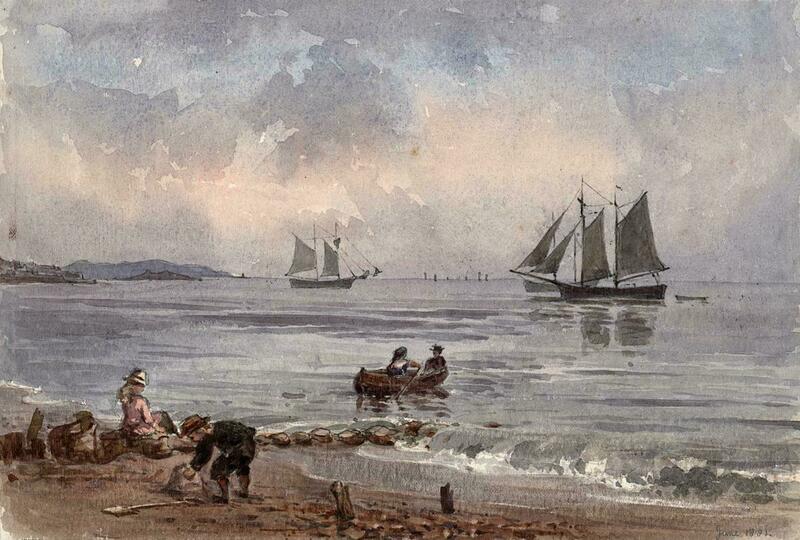 A pretty watercolour of Bray beach dated June 1881 (6.5″ x 9.5″) – attributed to Gerard Vivian Ames. 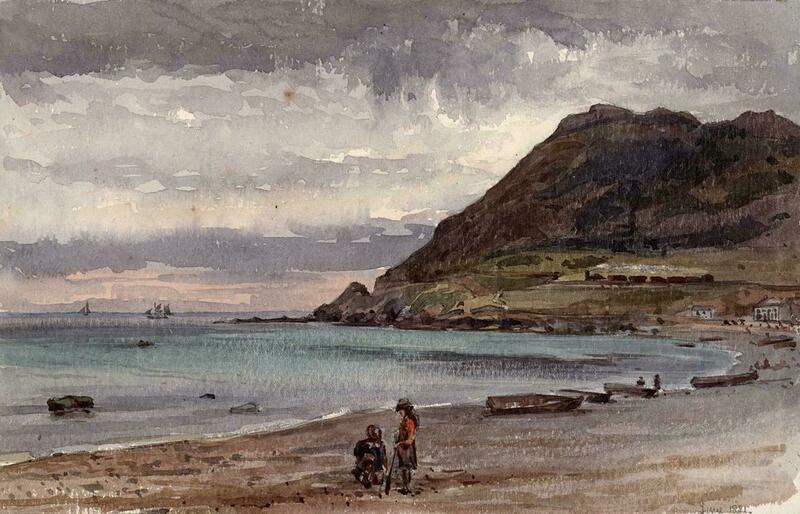 Bray Head – also painted in June 1881. Both offered on eBay – April 2019. 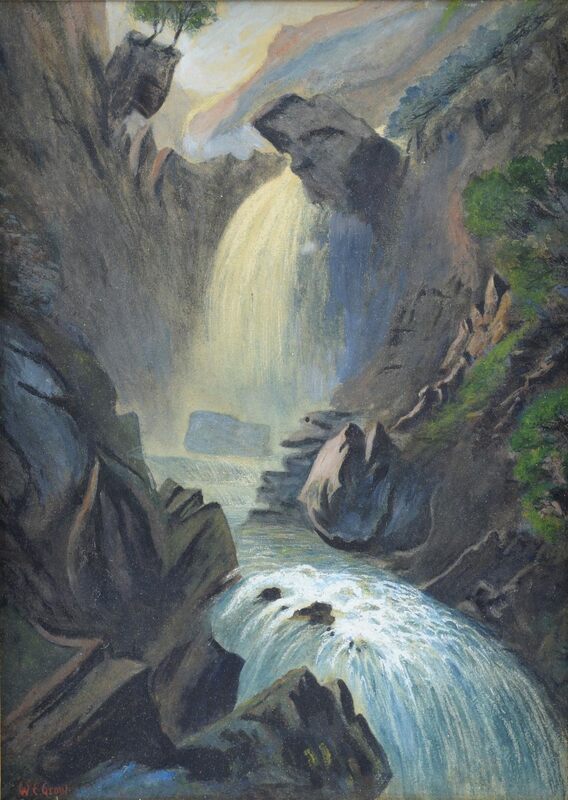 “Head of Devil’s Glen, Co.Wicklow, Ireland” gouache (14″ x 10″), sold at Ewbank’s, Surrey – 22/6/2018 for £55.00. There are a small number of Grouts listed in the 1901 and 1911 censuses but none with the relevant initials. “From Killiney Hill looking towards Bray” oil on canvas (12″ x 16″), sold at Maynards (Vancouver) – 6/12/2018 for approx. £14,000. Judging by the lack of housing development this is a 19th century view. I haven’t been able to turn up anything about the artist save for these three Rathlin Island postcards published by Baird & Co., Belfast circa 1905.